But I quickly discovered that a debut author must be willing to pound the pavement, too! So I hired freelance graphic designer friends to create bookmarks and fliers of my book and an official author website. I dropped these off at as many schools, libraries and bookstores I could visit on the weekends. I contacted these same places to see if they would be interested in hosting a signing or school presentation of my book which included fun show-and-tell visuals of how the book was made, a slide show and even a specially-edited CD of historical film footage about my book’s topic. I contacted local book festivals to be considered for signings and book panels. I not only asked friends and teachers and librarians to spread the word but even people I thought might have a vested interest in the book because they were also professional athletes/coaches and Asian American activists. I always updated our amazing Lee & Low publicists so we both were on the same page. We were a team who supported each other. I also kept up with the news. Any pop culture trend, breaking news or social issue that was a hot button topic related to my book was an opportunity to see if my book could be mentioned or if I could be interviewed as an “expert.” For example, I pitched my book during the Summer Olympics as a relevant topic. For my second book, Shining Star: The Anna May Wong Story (illustrated by Lin Wang), published in 2009, I created NAPIBOWRIWEE – National Picture Book Writing Week on my website. It was a fun version of the famous National Novel Writing Month (“NaNoWriMo”) event that promoted writing a 50,000-word novel in one month. My NaPiBoWriWee encouraged writers to write 7 picture books in 7 days. I advertised my new SHINING STAR book as a contest giveaway drawing prize for those who successfully completed the event with me. To my shock, this “out of the box” creative publicity idea not only worked… but it went VIRAL. Thousands of aspiring newbie writers AND published veteran authors all across the United States and in countries as far away as Egypt, Korea, France and Australia participated in my NaPiBoWriWee event. Talk about great publicity for my second book! As a result, my NaPiBoWriWee event has become an annual event for the past six years, where I have promoted all my new Lee & Low books! (For more information on NAPIBWORIWEE, please visit my website http://paulayoo.com). And this is only the tip of the iceberg of what I did to promote my first book. Today, not only must debut authors “pound the pavement” for publicity, but they also must navigate the social media waters with blogs tours, breaking news Twitter feeds, Instagram and Tumblr visual posts, and so on. As I write this blog, I’m sure a brand new social media app is being invented that will become tomorrow’s Next Big Social Media Trend. In the end, it was an honor and privilege to win this contest. I’m grateful for what it has done for my book career. For my new book, Twenty-two Cents: Muhammad Yunus and the Village Bank (illustrated by Jamel Akib, 2014), I’ve already participated in several blog Q&A interviews with signed book giveaway contests from established children’s book writing websites. I’ve promoted the book on my website and on social media sites. And I’m also promoting the book in real life by participating in book festival panels, including the recent Los Angeles Times Festival of Books. For new authors, I recommend pounding the pavement like I did. Think outside the box – are there current news/pop culture trends that relate to your book’s topic that you can exploit as a relevant connection? Can you come up with your own fun “viral” website contest like my NAPIBOWRIWEE? Make fast friends with your local librarians, schoolteachers and bookstore owners. Keep up with the latest and most influential kid lit bloggers and see if you can pitch your book as a future blog post on their site. And give yourself a budget – how much are you willing to spend out of your own pocket to promote your book? Find a number you’re comfortable with so you don’t end up shocked by that credit card bill! Of course, these suggestions are just the beginning. Book publicity is a difficult, time-consuming job that requires much hard work and persistence and creative out-of-the-box problem solving. But trust me, it’s all worth it when you see a child pick your book from the shelf of a bookstore or library with a smile on his or her face. Thanks for joining us, Paula! 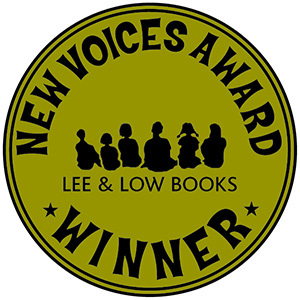 The New Voices Award is given each year to an unpublished author of color for a picture book manuscript. Find more information on how to submit here. The deadline for submissions this year is September 30, 2014. Great tips, Paula. I hope to follow in your footsteps when my Lee and Low book comes out! And thanks for participating in Kidlit411’s interview and giveaway about your amazing new book.